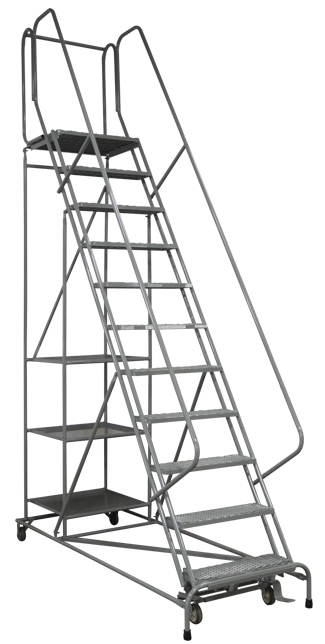 Series 5000 all-welded steel stock-picking safety ladders offer the advantages of a rugged on-piece welded ladder with the versatility of a stock-picking truck. Available in 6 different heights, each ladder has two (6-7 step) or three (8-11 step) 24″x24″ heavy gauge steel shelves, plus a 24″Wx20″D top step with 10″ folding platform work shelf. 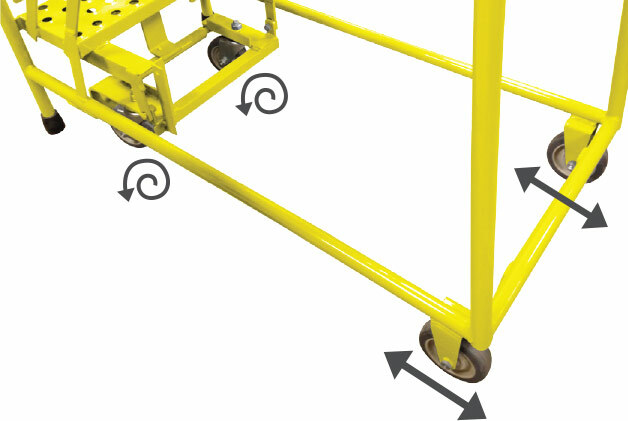 Series 1000 ladders meet applicable OSHA and ANSI standards. 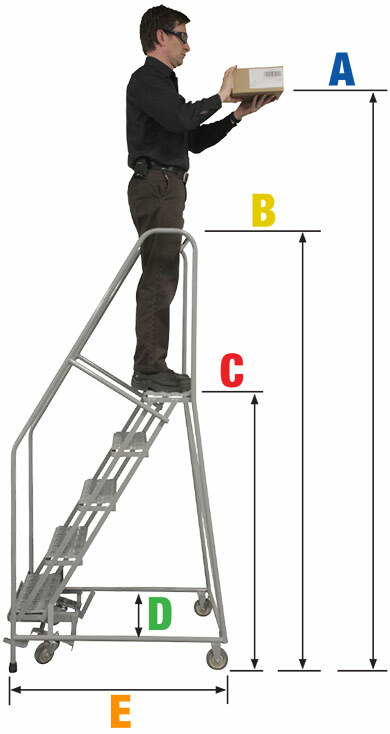 All Series 5000 ladders have 24″ wide steps.